Register ThinkOrSwim Live Realtime Account with unlimited warranty! 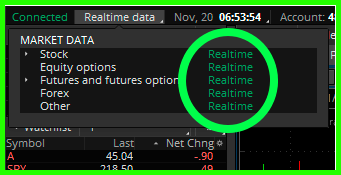 ThinkOrSwim Live Realtime is the best platform for analyzing NYSE and NASDAQ stock markets, futures contracts and options CME, ETFs, FOREX. 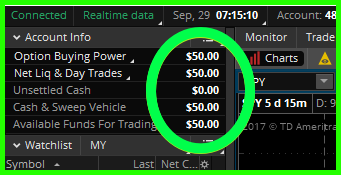 Get access to Thinkorswim RealTime first, pay later! By choosing one of the following options you can pay before or after you get access to Thinkorswim with Realtime and OnDemand feature. If you don`t top up the account after six month of use, TD Ameritrade will block it. This way you get a six-month guarantee. Our statistics show that 60% of our thinkorswim accounts work from 1 to 2 years before they get blocked. This way you can switch between options and choose unlimited plan by paying additional $80. *In the case of force majeure, namely, if TD Ameritrade or/and Thinkorswim closes, stops accepting new customers, disables access to all non-deposited accounts or changes its policy in such a way that we can no longer open new accounts, then Warranties and commitments are removed from us. We work fast. Get access to thinkorswim the same day you apply! Get detailed adjustment instructions and in case you experience any trouble, we offer rapid assistance through TeamViewer! In case you get banned (which happens rarely) you get a new account the same day! If you`re not satisfied with the service provided, you can get your money back in 24 hours after the payment. Leave and check our clients feedback on Thinkorswim Realtime in the comment section on YouTube! In this video we will tell you how to use Thinkorswim. After watching this video you`ll be able to work with charts and watch lists. You`ll be able to adjust indicators, formulas and scanners. You will be able to find your way around options and analyze various option combinations with Thinkorswim and much more. 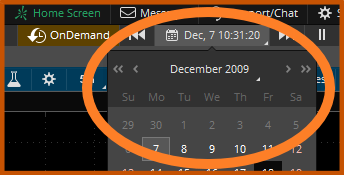 We`ll also tell you about OnDemand feature, which lets you get back to a specific date and test out your strategies on historic data. If after watching this video you still have questions about the way Thinkorswim operates and in case you need help with filters, scanners and strategies, don`t hesitate to contact us! Share this video with your friends, press the like button and subscribe to our YouTube channel if you don`t want to miss upcoming news! 22:09 9 Working with indicators and strategies. 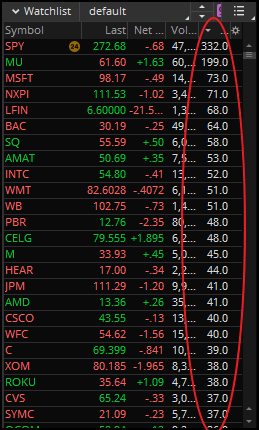 Allows to quickly see stock’s ATR, average volume and etc. In this example SPY chart is overlaid on main chart. Very convenient, clearly shows the important levels of yesterday. Shows Fibonacci levels on chart based on previous week bar. 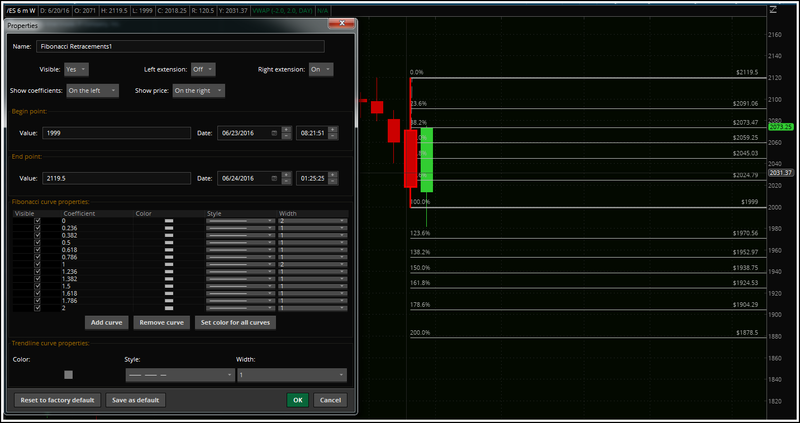 Screenshot below shows Fibonacci levels with manual and automatic levels made by the script. In this example, it will highlight the first hour from the opening, as well as lunch time and the last hour of the trading session. Shows on the chart with arrows the bars that copied both the high and low of the previous bar. Shows IQ of the stocks. The higher the IQ, the more money it allows you to make! Searches base on any levels. Looks for a base at levels of multiple 50 cents. Looking for a base, at levels 10-20-30, etc. Highlights those stocks whose last bar rewrote both the high and low of the previous bar.